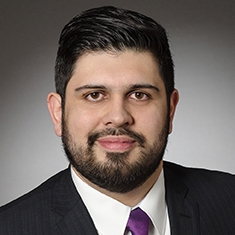 Noé Burgos focuses his practice on representing financial institutions and borrowers in domestic and cross-border transactions with an emphasis on supply chain finance and similar financial arrangements. Prior to joining Katten, Noé was in-house counsel at Deutsche Bank AG, where he primarily supported the global transaction banking division. Noé negotiated commercial banking services contracts, particularly in the area of trade finance, with corporate clients and other financial institutions chiefly located in Europe and Latin America. Additionally, he provided counsel on the implementation of new services and products in various jurisdictions. He began his legal career at Prudential Financial where he advised on investment adviser regulation and securities matters. Shown below is a selection of Noe’s engagements.